My absence is reflective of my recent bout of the blahs, an uninspired gray cloud which has hovered over me, resulting in stagnation. Usually at this time of year, I am already deep in my personal Christmas production and worrying about how to package bon bons and such. This year, however, I have been dragging my feet and making excuses, reluctant to even acknowledge that Christmas is just 9 days away. But hopefully, the page has turned. 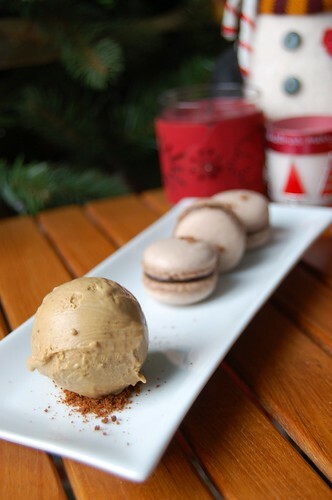 Receiving a lovely gift of J. P. Hevin macarons, direct from Hong Kong, has rekindled some spirit. Admittedly, the time and distance travelled took some toll on their delicate dispositions. Yet, their mere presence was uplifting to my morale which has been weighed down by the mundanity and irritations of my current station in life. 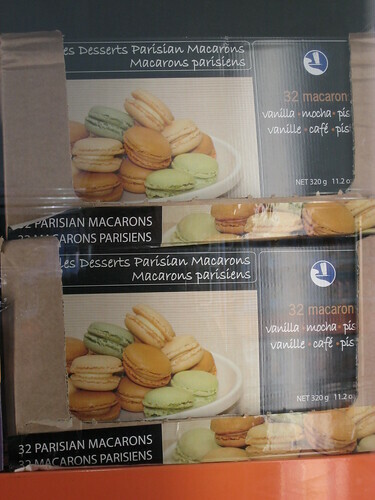 The irony is that I went to Costco on the day after receiving these lovely macarons and discovered boxes of frozen Parisian macarons for sale. 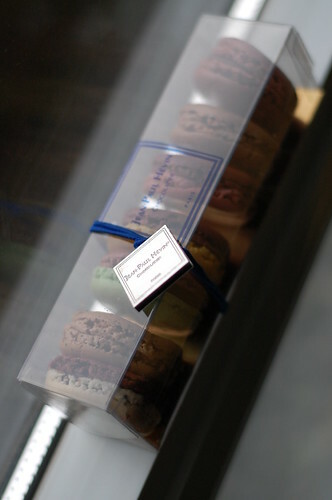 They were nestled beside the frozen petits-fours and hors d'oeuvres. I was so tempted to spend the $4.97 to purchase and try the 32 macarons (vanilla, coffee, and pistachio) out of sheer curiosity but refrained. Thus I have absolutely no opinion about their quality. Honestly, my first reaction was born from shades of food snobbery that I try to avoid. But after more thought, I realized that Costco was smart to provide relatively inaccessible but desirable high-end items to the average consumer. 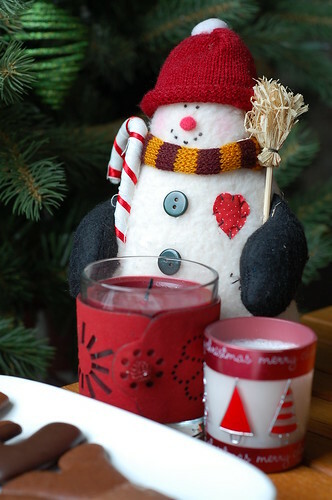 This has prompted me to get my Christmas act together and erase any dreary thoughts dancing in my head. If Costco can provide macarons, then I am obligated to produce something 100x better. 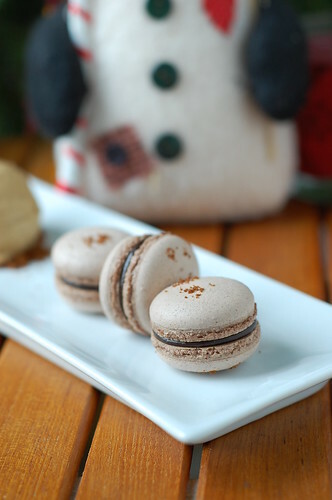 I am lucky to know how to make a decent macaron and it is a privilege to make delicious things that people enjoy, whether they know the difference between a baked good and a baked bad.